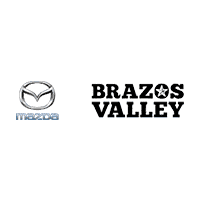 You’ve arrived at the Brazos Valley Mazda Parts Center which means you have access to our comprehensive inventory of high quality parts. Our highly knowledgeable staff will answer your questions about our wide selection of Mazda original equipment manufacturer parts whether they are servicing your vehicle, or you decide to service it yourself. If you are inquiring about a specific part, you can request more information about accessing our high quality stock through our Parts Request form here. Should we not carry the part you’re searching for, we can always order it for you directly so your vehicle can be serviced in a timely manner. Our trained technicians always strive to answer any questions you may have so your service matches the genuine, quality parts you’re receiving. Feel free to reach our Parts Center by phone or in person if you’re in the Bryan Brazos Valley area. We proudly provide a wide array of services to the greater Houston, College Station, and Cypress areas.